Love rugby? Enjoy working with children? 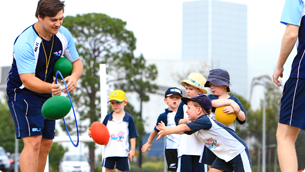 Combine the two and earn money as a Rugbytots coach! Throughout the World, more than 5,000 classes take place every week. Demand for our classes keeps rising, so we are always on the lookout for people who are keen to join us as a coach. If you're energetic and outgoing, can engage with young children and encourage their development, you'll love working with Rugbytots! If you would like to be considered for a coaching position, simply email us with your CV and a covering note. 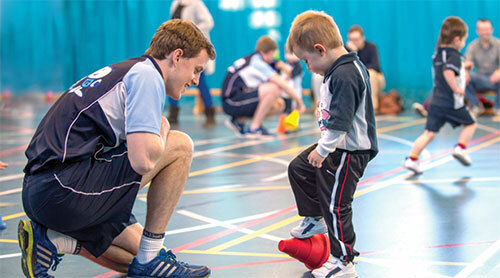 "Coaching for Rugbytots is hugely rewarding and lots of fun. The structured programme balances variation and repetition to ensure our dynamic classes stay fresh and exciting. I love it – and have done since I started 5 years ago. As an ambitious RFU Level 3 coach, it offers me a great spectrum of experience. It's so exciting to share my passion for the game, and introduce young children to rugby in such a fun and positive way." "As a Rugbytot parent I really enjoyed getting involved in the classes, so my wife suggested I apply for a coaching role. After 12 weeks of training and a final assessment, I was awarded the Rugbytots Seal of Approval. I could then run my own classes... it was the best thing I have ever done! I get such a buzz out of watching the children develop and seeing the excitement we generate through the classes. It's great fun every weekend - and the money is a bonus too!" Our coaches really connect with children, and are brilliant at capturing their imagination and keeping their attention. 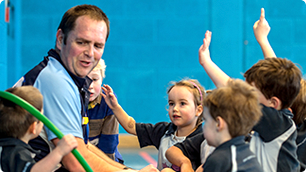 Energy and enthusiasm are two qualities that Rugbytots coaches have in abundance. This plays a critical part in creating the unique atmosphere in our classes. Our coaches are also thoroughly professional and reliable, and undergo full DBS (formerly CRB) checks. Our coaches are talented individuals, and know the best ways to help young children develop core skills and get to grips with new ideas. Key to this is our coaches' passion for sport, and their ability to run our classes in a fun and dynamic way. While rugby playing or coaching experience is not essential, a desire to introduce children to rugby in an exciting way certainly is! Our coaches are great motivators, and build each child's confidence by inspiring them to try new things and rewarding their success. And in return, we make sure we encourage our coaches to develop, stay motivated and feel valued as part of the Rugbytots family. As part of this, we provide full training, offer great rates of pay and have a range of other performance-related rewards. Ready to kick things off?